Keeping track of relative air humidity levels is a must, in order to ensure pleasant and comfortable living and working. Excess moisture can cause bad odors, and damage furniture as well as musical instruments, while dry air can irritate eyes and vocal chords, and cause just as much damage to wooden furnishing. 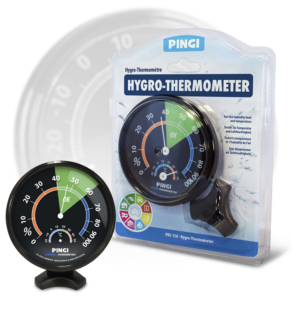 PINGI Hygrometer PHT-200 helps you keep track of temperature and humidity levels in your home, work, garage or any other space. Continuous measurement let you react swiftly and accordingly, maintaining optimal humidity at all times. Condensation, mould and bad odours are just a few of the problems caused by excessive moisture buildup, while the other extreme can result in sore throat, irritated eyes and troubled breathing. 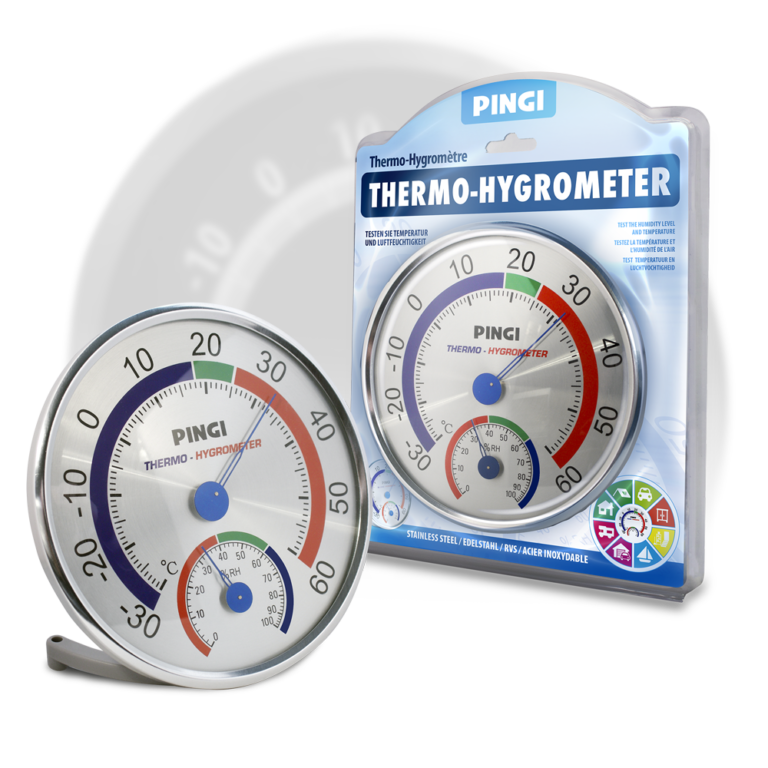 Keep track of humidity levels and temperature with PINGI PHT-200! 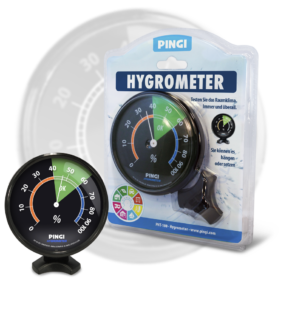 Requiring no batteries or line power, our hygrometer is perfect for all indoor spaces, including kitchens, garages, workrooms and even cars and boats. The hygrometer will determine the relative air humidity, indicating whether the moisture percentage in the air is optimal. In addition to precise hygrometer, measuring humidity with an accuracy of ±5%, the PHT-200 is also equipped with a. Keeping track of the most important factors that affect the level comfort indoors has never been easier. Just hang the PHT-200 anywhere you wish, and let it do its magic. The PHT-200 has a stainless steel body and a glass dial. The attractive panel design makes it an attractive addition to any space. The PHT-200 is designed be wall mounted.